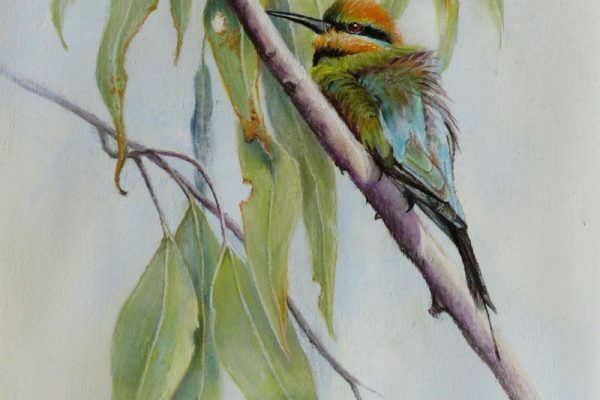 Gail Higgins – Queensland Wildlife Artists Society Inc.
After commencing art lessons in 1995 Gail soon developed an interest in painting wildlife. 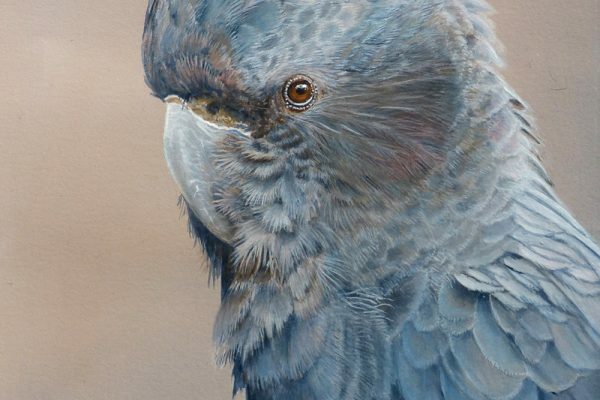 She now devotes much of her time to capturing Australia’s beautiful native birds in pastel, charcoal, acrylic and watercolour. She gains much of her inspiration from the sea and shore birds around the Brisbane bayside area where she lives. With the completion of Cert IV in Assessment and Workplace Training in 2003 Gail commenced her own art classes and in 2007 moved into her teaching studio in Wynnum. A Master Pastellist with the Pastel Society of Australia, Gail is now sought after to conduct workshops in pastel – her favourite medium. See under Workshops for details of her classes. She was invited by Australia Zoo to create awareness of native flora and fauna found in the Steve Irwin Wildlife Reserve, Cape York, with a solo exhibition on Steve Irwin Day, November 2008. 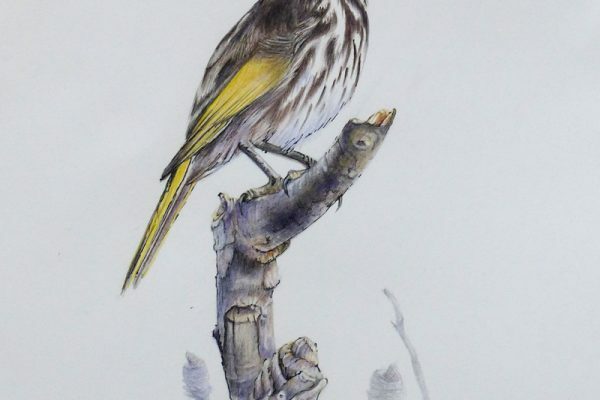 Gail believes that wildlife art is not only about the art – she hopes her paintings will encourage others to give thought to wildlife and the environment and to believe that the natural world is precious and worth preserving.